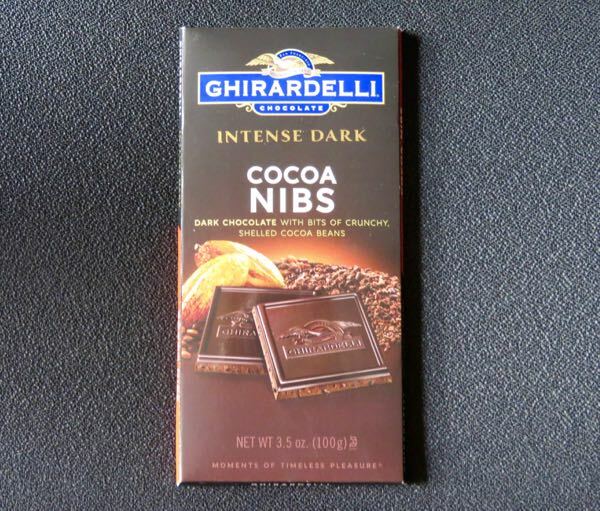 Welcome to Day #6 of Chocolate and Nibs Theme Week. 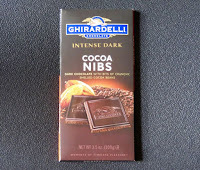 Today's Intense Dark Cocoa Nibs bar was from Ghirardelli Chocolate Company (San Leandro, CA). Long before the new American chocolate makers* were making small batch, bean-to-bar chocolate, Domenico "Domingo" Ghirardelli was in the Americas, and came to California in 1849 during the height of the gold rush. Ghirardelli sold chocolate/drinking chocolate to gold rush miners in Stockton (northern) California, and fortunately for us decided to stay after the gold boom. 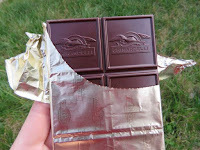 Ghirardelli Chocolate Company settled in and expanded their facilities in San Francisco, and a household chocolate brand took shape. 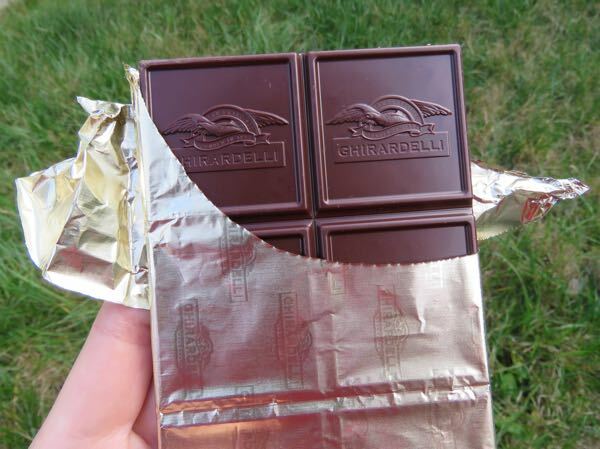 It is a testament to any company that stays independent for over a century** And, with luck, the Ghirardelli brand will be around for their 200th anniversary in the mid 2000s. In the meantime, let's enjoy their dark Cocoa Nibs chocolate bar with bits of crunchy, roasted nibs (crushed bits of shelled cocoa beans). The bar was made from semi-sweet chocolate (sugar, unsweetened chocolate, cocoa butter, milk fat, soy lecithin and vanilla) and nibs. The vanilla and sugar gave the chocolate a sweet flavor and aroma and a warm quality to it. The nibs provided soft crunchy texture. * The reference here is to the wave of new American chocolate makers that saw an upsurge in the 1990s and has continued.